Caudalie's Beauty Elixir is a powerful, radiance-reviving treatment developed to illuminate the look of dull complexions. Suitable for all skin types, its plant-based formula smoothens the appearance of fine lines, tightens pores and awakens skin to reveal a brighter, healthy-looking complexion. Favoured by makeup artists and celebrities, the versatile spray can also be used to set makeup in place. Tip: Backstage at runway shows, professionals apply it between foundation and powder to set makeup. Love how makes my skin soft and fresh. I spray it two times a day! I really enjoy using this product, it smells fresh and slightly minty. I find this helps to calm my skin and leaves it dewy just after cleansing. This is my second bottle so this is something that I feel will become a staple in my skincare regime. It is as good as other toners/setting sprays and I don't like the smell of it. Nothing special for me, but I will try to use it more and we will see. Very refreshing and hydrating and also doesn't ruin the makeup underneath. I like the 30ml size that can easily fit in my makeup bag. Recommended! Great stuff! Will recommend to all my friends and family! 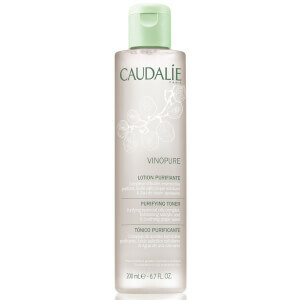 Love Caudalie products, this is excellent to refresh skin anytime or to set make up, leaves my skin radiant & glowing. Fine mist smells fresh & minty. The small bottle is great for travel. I plan on buying the larger bottle next time as I can now not bare to be without this. Thought I will give this a go after reading rave reviews but was skeptical as I have never used a toner before. This is a convenient spray toner which needs to be sprayed after applying foundation, before putting face powder. It 'fixes' make-up brilliantly and my face seems to have a 'fresh glow' even after several hours. Least expected but most overjoyed! worth every penny!